For those of you who, after reading the title, thought that this post was about polishing an object with smooth surface, like a leather shoe or decorative wood or steel, let me tell you upfront that you have grossly mistaken. This is actually about the small taste of the culture, people and the bland culinary from the moderately great nation of Poland. For most people, Poland is that country that got screwed by Germany when World War II was at its early stages. It was referred to as just ‘The War’ at that time and the news about its proceedings were only used to fill out white spaces in newspapers local to the region. 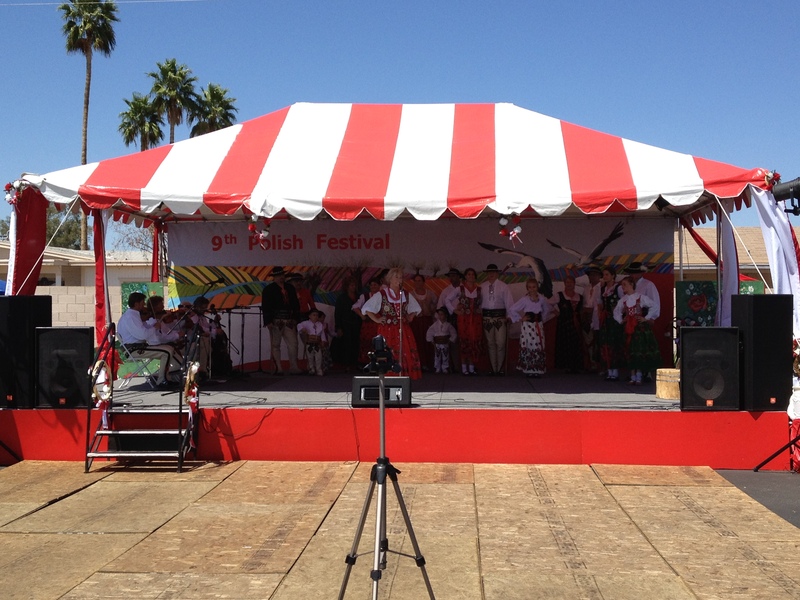 Today Poland is a modern nation which wields mild to moderate power on the global agenda and as part of that power-wielding, the 9th annual Polish Festival was conducted in Phoenix, AZ over this weekend. I decided to grace the event on the Sunday afternoon part of the weekend. After a 40 minute drive on the I-10 and the I-17, which were unreasonably crowded for a Sunday afternoon, we – me and, for anonymity, another person – parked our car and took the 5 minute ride in the event van, a smart move by the festival organizers to manage parking logistics, and reached the festival site. It was a large rectangular outdoor space with all four sides lined with tents containing some artifact of Poland and its culture. Prime at the center of the wall facing the entrance was the main stage. There were many things happened at the main stage – a polish fashion show, a Polish speech that involved a crafty flute played by a gorgeous woman, a short skit in Polish language, about herding goats I assume, by little children dressed in Polish garb and so on – but I did not photograph them since I forgot that I had an 8 mega pixel camera in my pocket. They were good; take my word for it. They seemed very fond and proud of their culture and heritage. Any Polish person who was uninhabited enough to stop us did not mind giving us a 15 minute lecture on what Poland and its people are all about and how important it is for everyone to know about its said importance. I say uninhibited because myself and the person accompanying me were the only two souls with skins any darker than talcum powder and we could see it in many people’s eyes, and in some cases their backs, that they were puzzled to see a couple of guys whose skin tone was not as pale as the polar bear. The people who did talk to us told us all kinds of things about modern Poland. For instance, did you know that the current generation of Polish youngsters do not respect and revere their grand history? It’s true, according to one elegantly dressed old lady with one of the kindest voice I have ever heard. She said she was 72 right before I was about to ask her if she was attending college – I am not kidding. The other thing everyone spoke about was their food. Each plate cost 7 dollars. 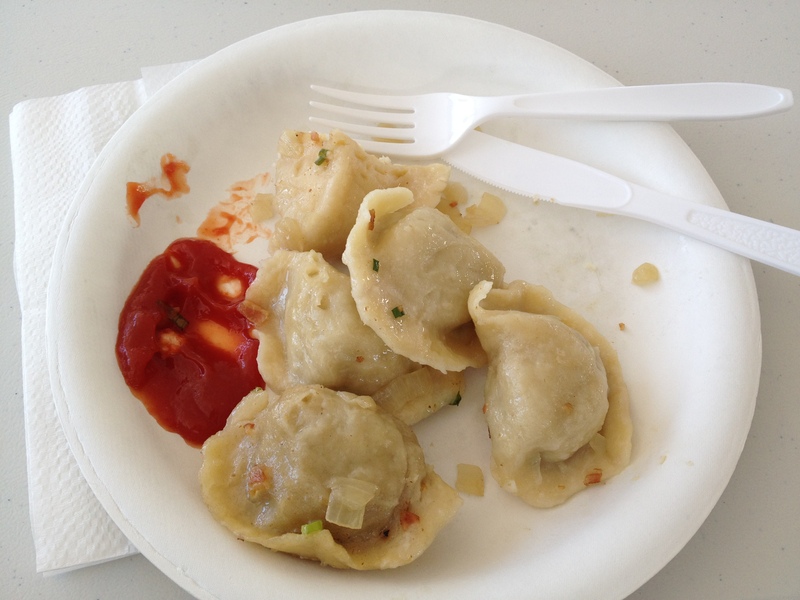 It is a little expensive for festival food, but it’s not everyday one gets to taste authentic Polish dishes and the women who served the food in some of the stalls could put Catherine Zeta Jones to shame so the 7 dollars a plate price tag kind of evened out. About the food, it was ok. Not bad, but ok. Someone should tell the Polish people about chillies or turmeric or, for some dishes, salt. It was 95 degrees (F) outside and the concrete below our feet felt like a large frying pan trying to slowly cook us with the Sun’s organic and non-polluting heat. 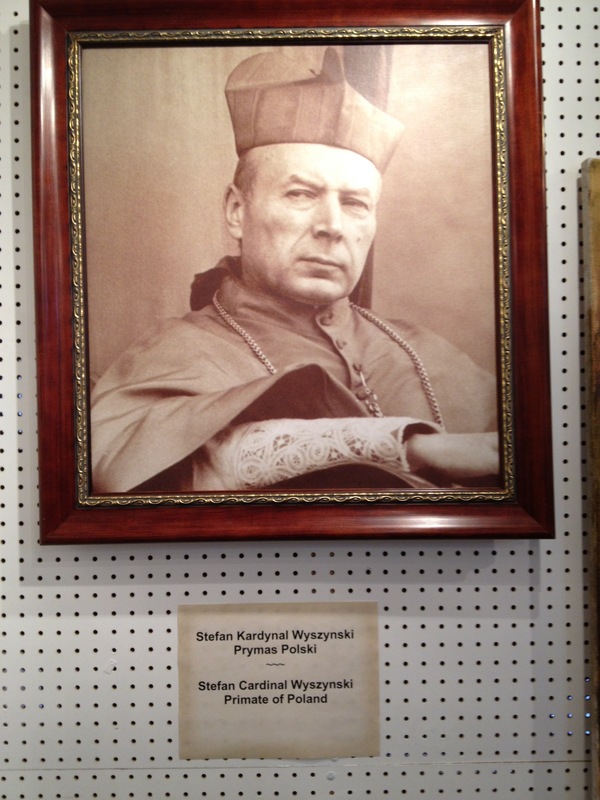 We stepped indoors where an exhibit featuring the history and the related artifacts of Poland were neatly and chronologically arranged along the walls. I learned that at least one guy was not happy about his official title. 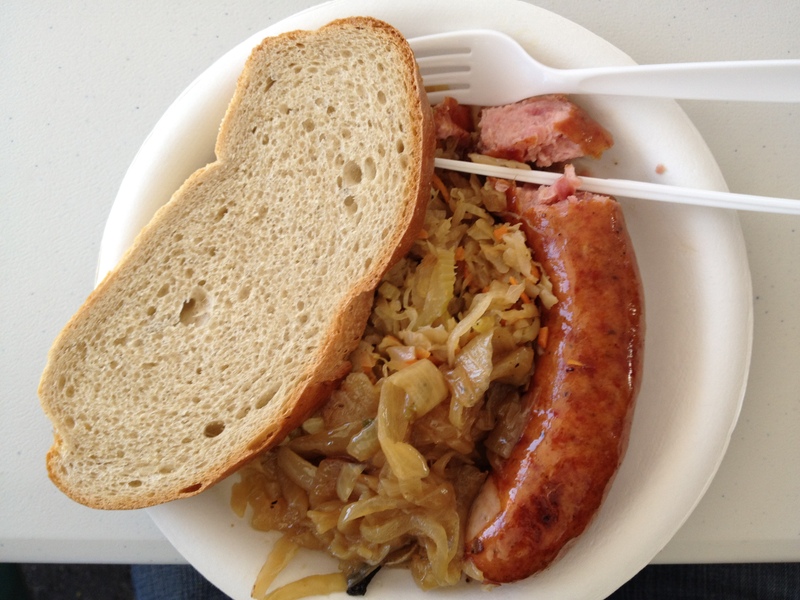 After cooling off a bit indoors and learning a bit about Polish history, we stepped out, had some more food and chatted a bit with the food vendors. One of them, a beauty in a warm and casual way, which seemed to be a theme among Polish women, was honest enough to admit that she had not seen any dark skinned person [her words] today until we came along and that she was happy that people of all colors [again, her words and I am not sure if there was any pun intended] are exploring and enjoying the polish experience. I wanted to tell her that I would have been offended if that same thing was said by someone of lesser aesthetics, like that wrinkled old guy standing a few feet from her, but instead I asked her if I could get a free dessert. She kindly obliged. I got my slice of Polish lemon cake in a small styrofoam box and hopped in to the event van as the trees’ shadows got a little stretched across the roads. It took me another 45 minutes, including the car drive, before reaching home and enjoying the warm and gooey cake to celebrate a productive sunday. Did you like what you found here ? Consider clicking the ‘Like’ button below, it will mean a great deal for me. Better yet, share it with your friends using those little social-networking icons shown below. I’d appreciate it.